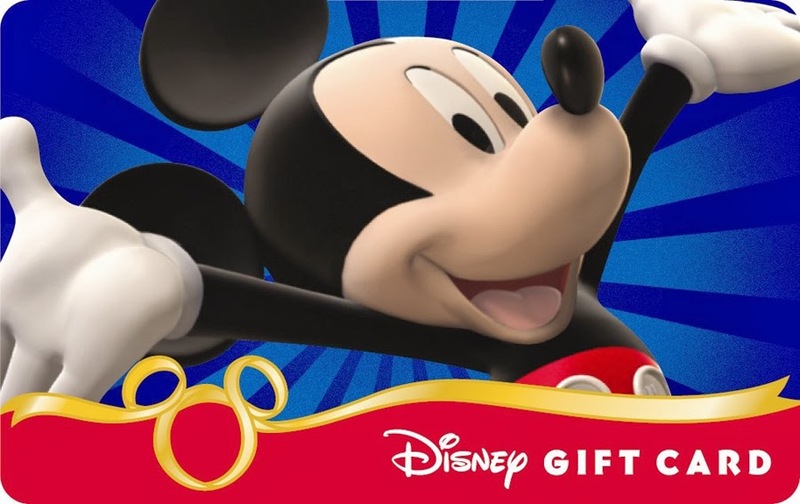 Sasaki Time: Giveaway: Win a $100 Disney Gift Card! I would get my girls some dolls and pajamas. I think I would buy some Disney clothes for my daughter or a new game for the family. I'm not really sure but I might buy some type of clothing for my nephew. Maybe something in a Cars or Toy Story theme. He really likes those two. I would save it for my next trip to Disney World! I would love to get some pajamas for my two little ones. Thanks for the chance to win! The littler mermaid stuff for my daughter!! I would use this on my Disney Cruise in May. I would buy Disney clothes for my kids & one for their best friend. A few things at the parks I've had my eye on, but not the money to get. I would buy Frozen merchandise for my daughter. I would let my niece have it and pick whatever toys she wants! It would go towards renewing our annual passes!!! I'd buy a birthday gift for my daughter next month. I would keep it. I would use it for several small birthday gifts for nieces and nephews. I would buy princess dresses for my daughter. Toys for my toddler son who is obsessed with Toy Story and Mickey Mouse Clubhouse. We have watched Toy Story 3 (which we got for Christmas) three times just this weekend! Lunch at Harbour House after riding Haunted Mansion. My daughter really wants the stuffed snowman from Frozen. If I won, I'd buy pjs & dolls for my girls. I would let my daughter get anything she wanted. I would use it to help pay off our Disney vacation! I would buy clothes and movies for my son. We are going to WDW in 3 weeks, so I would use it then to buy treats for family who don't get to go this time. I would apply it to my next AP. I'd get my daughter a disney princess tutu, and dress up items. For my son i'd get him some Jake & Planes toys! A shadow box...or use for part of payment for my next trip. I would love this to spend on my nephews for their birthday in april or to save it for hopefully a trip to disney soon!! I would buy presents for my daughters third birthday! I would use it to buy souvenirs when I go to one of the parks. I would buy some Cars or Phineas and Ferb merchandise for my son! I would use it for our trip to Disney this summer! I would save it for my next trip to Disney World. I would save it for our WDW trip in February! I would buy some Doc McStuffins clothes and toys for my little one! Give it to my child and have him buy what he wants. My niece wants a princess or mermaid doll so I would buy her both. Disney memorabilia of course :) Maybe a snowglobe? If I could, admission to Disney World, otherwise, toys for my child. If I won, I would buy plush toys and donate them to the local hospital in my area! Thanks!! I'm not sure I would have to shop but I do know it would be for my grandchildren. I'd save this for our next family Disney trip. Although it would be tempting to spend it at the Disney.com store! I would get some plush cars and planes toys for my boys. They are obsessed! I would get my daughter the Sleeping Beauty Dress from Disney. She wanted it soooo bad, but they were $64! presents for my nieces and nephew! or maybe just the biggest stuffed animal I could afford, for myself. we'll see how it ends up if I win. Whatever my daughter wanted. Maybe something The Nightmare Before Christmas for myself. I would buy my daughter some Frozen toys and probably a t-shirt or 2 for her, myself, and my hubby! I want to put it twards our Disney World vacation in March! I would buy Disney DVDs. I would buy some Monster inc stuff for my daughter. I would get my daughter some Lilo and Stitch stuff, and she loves Simba from the Lion King.